They should dub this game the lowliest of the low in NFL match ups. Long gone are the glory days when both these teams duked it out for the top spot in the AFC South. No Titans coach should, or factually can, proclaim dominance over the Jaguars these days. The Titans are in search of a victory at home and the Jaguars are in search of a victory. We bring you our Jaguars at Titans preview. Neither of these teams is very good and both have suffered big injuries at positions to boot. The Jaguars have been banged up at wide receiver and tight end but will get Marcedes Lewis back later in the year since he is on injured reserve with the designation to return. Here is the injury report per NFL.com. The Jaguars have turned from Chad Henne to rookie quarterback Blake Bortles and the results have been mixed. Bortles is talented but he is dealing with a mediocre offensive line and inexperience at wide receiver. Plus, the Jaguars run game hasn’t exactly set the world on fire and free agent acquisition Toby Gerhart has been dinged up and ineffective behind that line. The Titans may or may not be starting Jake Locker who is dealing with a thumb issue. He didn’t practice on Wednesday or Thursday but he did throw the football. The Titans will definitely be without strong safety Bernard Pollard and left tackle Michael Roos who are both done for the year. They previously lost linebacker Zach Brown to a season ending injury. If Locker can’t go Charlie Whitehurst will once again start in his place. The Jaguars offense has an opportunity to do some damage against a porous Titans defense giving up big plays. The Titans secondary is banged up, inexperienced and thin on talent right now. Second year cornerback Blidi Wreh-Wilson will return from his concussion but it isn’t clear yet whether Coty Sensabaugh will play. Sensabaugh is the only Titan playing well in the secondary and his loss would be huge. Daimion Stafford and George Wilson are expected to try to fill Pollard’s shoes in the secondary. Whitehurst and the Titans offense played well in the first half against the Browns after Locker’s injury but did not score a point in the second half. In fact, the Titans offense didn’t make it past their own 50 yard line in the second half of the Browns game. It was a dreadful second half performance both offensively and defensively. 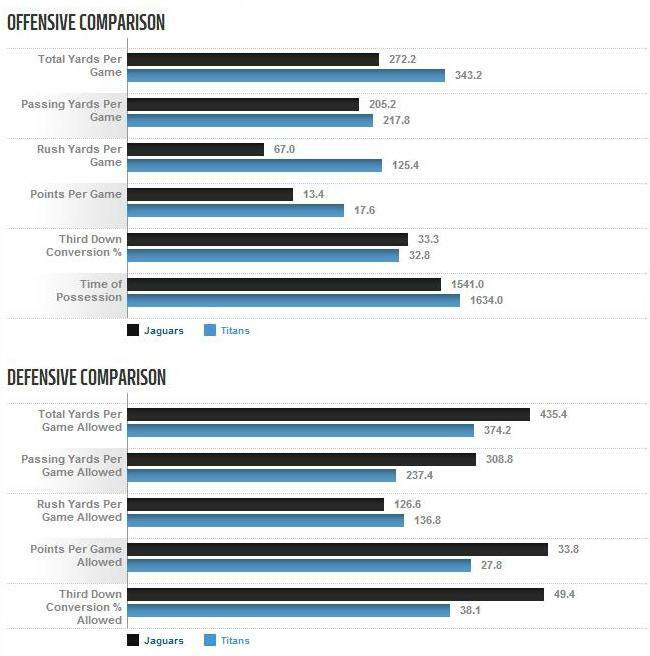 The Jaguars defense is getting a good pass rush which has been an issue for the Titans offensive line this season. Whitehurst has done fairly well under pressure and isn’t afraid to pull the ball down and run for a first down. The Titans seem intent on remaining a pass first run afterthought offense but through five games Locker averaged 26.8 rushing yards per game and Whitehurst 19.5. Rookie Taylor Lewan will be starting at left tackle with Roos done for the year and maybe that will help an offensive line struggling in particular on the left side. It seems a prime opportunity to try to establish a strong run but will the Titans take advantage? They should. On paper it seems a good time to play Titans skill players in fantasy football. 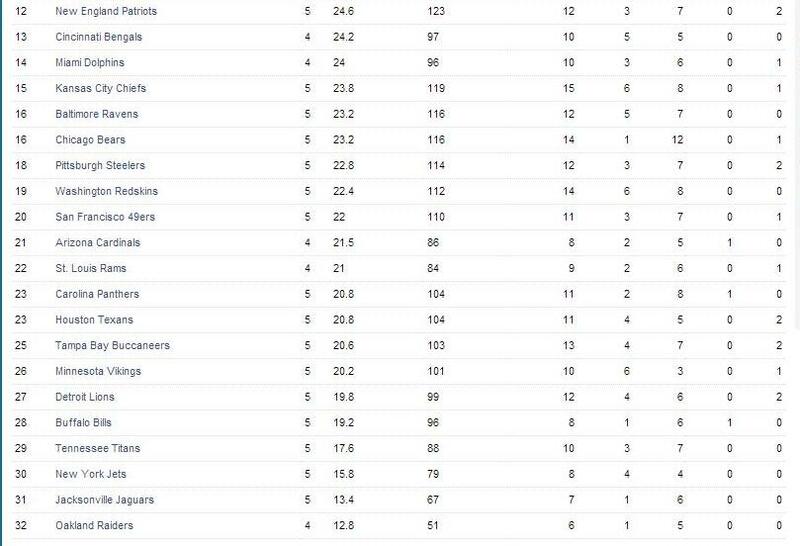 The Jaguars are giving up the third most fantasy points to quarterbacks, fourth most fantasy points to running backs, the sixth most fantasy points to wide receivers and the third most fantasy points to tight ends. Notice I said on paper. It is difficult to trust this lackluster Titans offense. 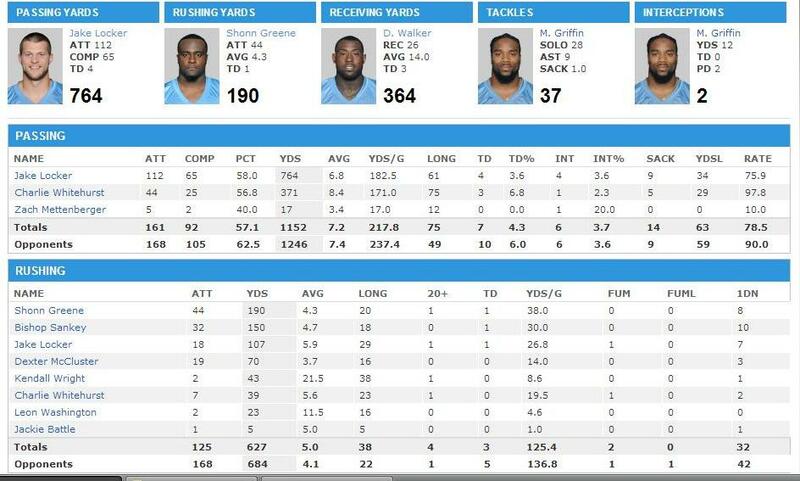 The Jaguars run game has been terrible and with Toby Gerhart questionable rookie Storm Johnson could get some carries. The Titans are very good at making backup running backs look good and they are giving up an average of 136.8 rushing yards per game. Also there is this. We had cautioned in our prior previews that the Titans were due for a bad special teams meltdown and it came last Sunday against the Browns. A Brett Kern punt was blocked out of the back of the end zone for a safety and the Browns scored on the ensuing possession. Special teams have been of particular concern and show no sign of getting better. Once again Bovada has pulled a Titans Vegas line due to uncertainty regarding Jake Locker’s status. Both teams are fairly terrible at covering the spread but here is this nugget. Once again the game will be broadcast on CBS with the play by play handled by Andrew Catalon alongside analysts Steve Tasker and Steve Beuerlein. Jeff Triplette and his crew will handle officiating duties. The weather calls for a 60% chance of rain and a high in the lower 70s.